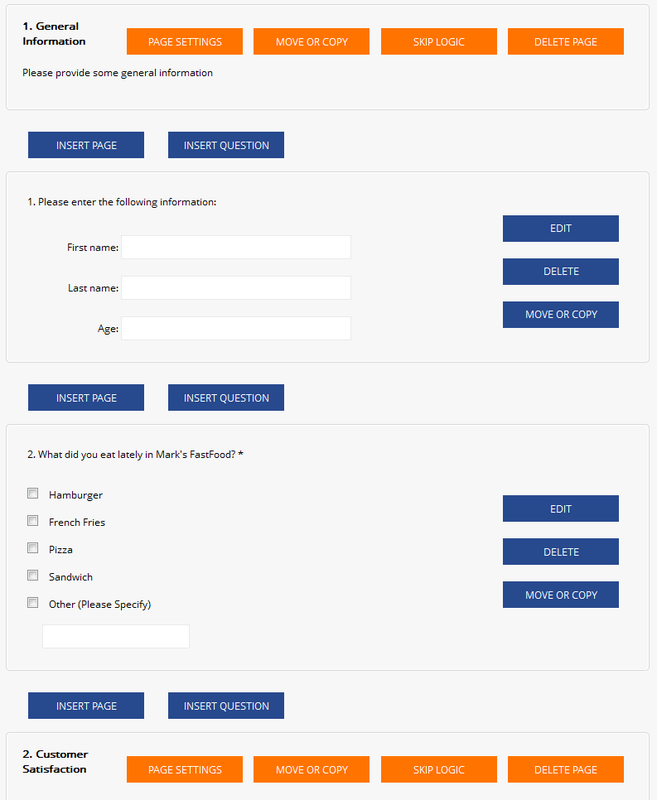 Tutorial - Creating and Deploying Web Surveys - Creating Questions and Pages Cont. Tutorial - Creating and Deploying Surveys - Creating Questions and Pages Cont. The Survey Editor should now reflect the newly added page as shown below. Next, let's add a question to Page 2 by clicking the "Insert Question" button that appears below the Page 2 Title Bar. 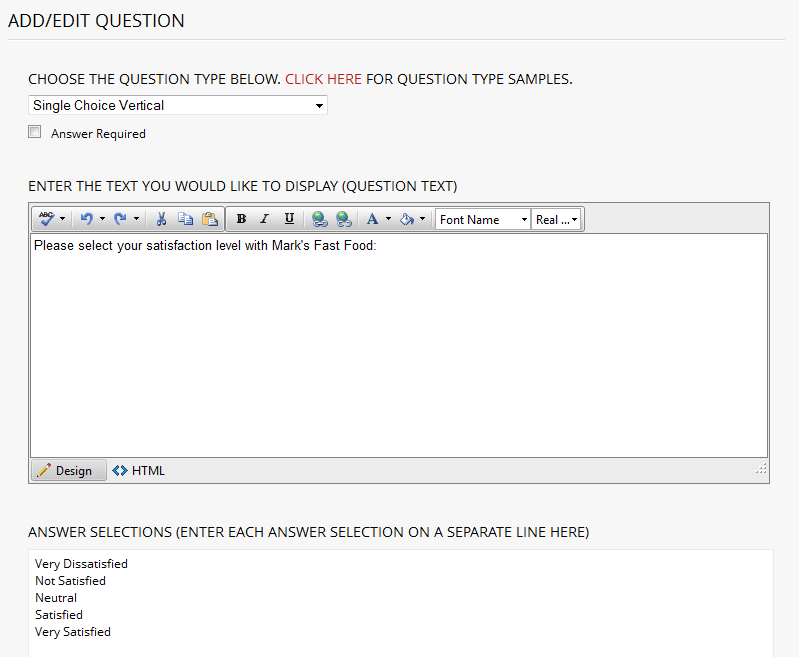 Change the Question Type to "Single Choice Vertical" and insert the question text and Answer Selections as shown above then click the "Submit and Return to Survey Editor" button.